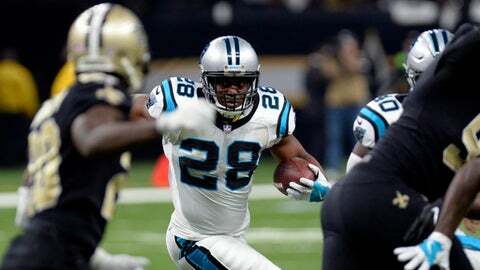 CHARLOTTE, N.C. (AP) The Carolina Panthers have released running back Jonathan Stewart. Stewart became the franchise’s career rushing leader in 2017, finishing with 7,318 rushing yards. Stewart’s 1,699 rushing attempts are also the most in franchise history, while his 58 touchdowns (51 rushing, seven receiving) are second in franchise history. Stewart helped Carolina to five playoff appearances, and holds franchise records for career rushing yards (474), rushing attempts (101) and rushing touchdowns (five) in the playoffs. His three rushing touchdowns in the 2015 postseason are the franchise high.